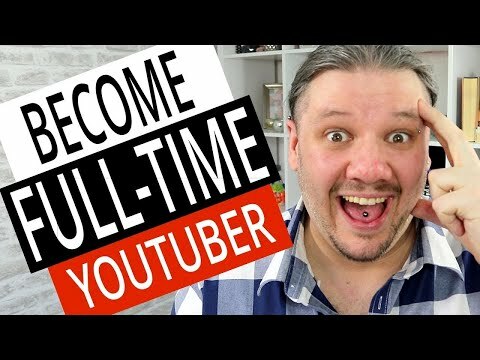 How To Go Full Time on YouTube with ONLY 3000 Subscribers // A deep dive into how I became a YouTuber Full Time on YouTube with 3K Subscriber and how you can make youtube your job. Many people wish to make YouTube their full time job. it is possible but you have you focus on things outside youtube to go full time on youtube. In this deep dive I walk through the importance of brand building, search engine optimization, monthly income, hard work, planning and consistency can help lay the foundations to earn a full time living from YouTube and other related incomes. Make money on YouTube to support the YouTube channel and fund channel growth.